New work points to inflammation as key player in heart disease; suggests future potential for screening to reduce risk. Scientists at the Broad Institute of MIT and Harvard have found that a set of genetic mutations in blood cells that arises during aging may be a major new risk factor for cardiovascular disease. In contrast to inherited genetic predispositions and traditional lifestyle risk factors, such as smoking or an unhealthy diet, the new mutations are “somatic mutations” that originate in stem cells in the bone marrow as people age. Because the mutations are relatively common in older people (over 10% of people over the age of 70 harbor at least one of these mutations), potential future efforts to screen for the mutations in blood cells, identify people at increased risk for coronary heart disease, and reduce risk in those individuals through lifestyle changes or therapeutic interventions could have a significant clinical impact, according to the researchers. “There is more work to be done, but these results demonstrate that pre-malignant mutations in blood cells are a major cause of cardiovascular disease that in the future may be treatable either with standard therapies or new therapeutic strategies based on these findings,” said Benjamin Ebert, a co-senior author of the new study, an institute member at the Broad, a professor of medicine at Harvard Medical School, and a hematologist at Brigham and Women’s Hospital. Featured in New England Journal of Medicine, the work also contributes to the broader understanding of pathogenesis in coronary heart disease by supporting the hypothesis that inflammation, in addition to elevated cholesterol levels, plays an important role in this illness and potentially other diseases of aging. Previous research led by Ebert and Jaiswal revealed that some somatic mutations that are able to confer a selective advantage to blood stem cells become much more frequent with aging. They named this condition “clonal hematopoiesis of indeterminate potential,” (CHIP), and found that it increases the risk of developing a blood cancer more than 10-fold and it appeared to increase mortality from heart attacks or stroke. In the new study, the researchers analyzed data from four case-control studies on more than 8,000 people and found that having one of the CHIP-related mutations nearly doubled the risk for coronary heart disease, with the mutations conferring an even greater risk in people who have previously had a heart attack before age 50. While the human genetics data showed a strong association between CHIP and coronary heart disease, the team hoped to uncover the underlying biology. Using a mouse model prone to developing atherosclerosis, the scientists showed that loss of one of the CHIP-mutated genes, Tet2, in bone marrow cells leads to larger atherosclerotic plaques in blood vessels, evidence that this mutation can accelerate atherosclerosis in mice. Atherosclerosis is believed to be a disease of chronic inflammation that can arise in response to excess cholesterol in the vessel wall. To examine this on a cellular level the team turned to the macrophage, an immune cell found in atherosclerotic plaques that can develop from CHIP stem cells and carry the same mutations. Because Tet2 and other CHIP-related mutations are known to be so-called “epigenetic regulators” that can alter the activity of other genes, the team examined gene expression levels in the Tet2-mutated macrophages from mice. They found that the mutated cells appear to be “hyper-inflammatory” with increased expression of inflammatory molecules that contribute to atherosclerosis. In support of this finding, humans with TET2 mutations also had higher levels of one of these molecules, IL-8, in their blood. The work demonstrates that CHIP associates with coronary heart disease in humans, that mutation of the CHIP-related gene Tet2 causes atherosclerosis in mice, and that an inflammatory mechanism likely underlies the process. More work is needed to show whether other genes that are mutated in CHIP also lead to increased inflammation. The team is also exploring whether interventions such as cholesterol lowering therapy or anti-inflammatory drugs might have benefit in people with CHIP. Inflammation is also thought to modulate several other diseases of aging besides cardiovascular disease, such as autoimmune disorders and neurodegenerative disease. Because CHIP also increases in frequency with age, somatic mutations that alter inflammatory processes could influence several diseases of aging, though more work is needed to test this possibility. The immune system’s T cells stand as one of the body’s main lines of defense against infection and cancer. But when confronted with an established tumor or a chronic viral infection — situations where they receive many signals for a long time to get out there and do something — T cells often do an odd thing. They just…stop. These T cells exist in a unique state of dysfunction. They are neither anergic (unresponsive to all signals to attack) nor senescent (old and quiescent). Rather, they are stuck, unable to turn against the tumor or invading virus and wipe it out on their own. Their brakes are on. If the brakes could be turned off, however, these cells could be wielded as powerful therapeutic tools. The successful use of checkpoint inhibitors — drugs that interfere with T cell-regulating proteins such as PD-1 and CTLA-4 on dysfunctional T cells — to treat some cancers highlights this approach’s immense promise. But not every patient or every tumor responds to these immunotherapy treatments, suggesting that additional circuits play roles in T cell dysfunction. However, when others have looked for gene expression profiles that might tell dysfunctional and healthy, activated T cells apart, they found the profiles to be very similar. It is as though the two states — activation and dysfunction — were coupled. Whether they are lies at the heart of a study Singer, Wang, Anderson, Kuchroo, Regev, and colleagues published recently in Cell. Using a mix of bulk and single cell transcriptomics and functional genomics, the group unwound the transcriptional threads of T cell activation and dysfunction in the context of cancer. Their findings not only revealed a distinct dysfunction gene expression program, but identified two of its major drivers, opening a new landscape of potential therapeutic targets that might be used to rouse dysfunctional T cells and get them back in the ring. The research team started out by comparing gene expression in three T cell populations from a mouse cancer model: 1) severely dysfunctional cells displaying two immune system checkpoint receptors, Tim-3 and PD-1; 2) semi-functional cells carrying PD-1 alone; and 3) fully functional cells with neither marker. Two genes in particular jumped out in the expression data: metallothionein 1 (MT1), a zinc metabolism gene, and its relative MT2. When the team disabled (or “knocked out”) both in a mouse model, it slowed tumor growth but also had a surprising effect on the T cells themselves: The three marker-based cell populations remained, but all three behaved like normal, healthy T cells, even those carrying both dysfunction markers. And indeed, when the team compared expression profiles across the three cell populations in both normal and MT knockout cells, several genes — many known to be T cell regulators — clustered into a distinct dysfunction-associated signature. Reassuringly, however, the team found the same dysfunction signature both in individual T cells analyzed at the single cell level and, importantly, in data from a study of human melanoma patients’ T cells. Why might this be? “It may be that all T cells go through the activation stage in the tumor environment, where they’re under chronic stimulation,” Wang mused. “And something about the activation program allows the cell to turn on the dysfunction program. Key to almost any gene expression program are the transcription factors important for driving its execution. When the team sifted through their data, the factor GATA3 stood out as a possible top driver of their dysfunction program. To test the possibility that GATA3 was an important driver, the team, with Regev lab postdoctoral fellow Le Cong, used CRISPR-Cas9 gene editing to knock the GATA3 gene out in freshly collected T cells and injected the modified cells into a mouse melanoma model. The result: reduced tumor growth, and markedly improved T cell function. “It means that when these tumor-invading T cells lack GATA3, they stay active and well,” Singer said. The team’s results suggest new questions about how these T cell populations evolve from functional to dysfunctional over time, something that time-course experiments could reveal. Then there is the curious role of zinc. GATA3 is a zinc-finger transcription factor; it needs zinc to do its job. The MT genes encode proteins that help process zinc. And the dysfunctional T cells in the team’s models had markedly increased levels of free zinc in the cytoplasm, while MT knockout T cells contained roughly normal zinc levels. The data also highlight opportunities for developing new immunotherapy treatments and prognostic tools. The ExAC project was funded by institutional support from the Broad Institute of MIT and Harvard, along with grants from the National Institute of Diabetes and Digestive and Kidney Diseases (NIDDK) and the National Institute of General Medical Sciences (NIGMS). A complete list of the scientific groups that have contributed to the ExAC database is available at http://exac.broadinstitute.org/about. Researchers have uncovered a protective genetic mutation that is specific to ulcerative colitis. Image by Lauren Solomon, Broad Communications. Rivas and others are now conducting searches for other LoF mutations and, this week in Nature Communications, Rivas was first author of a paper that announced the discovery of such a protective mutation specific to UC, a chronic disease of the large intestine that affects roughly 700,000 people in the U.S. alone. If you walked into a cancer clinic ten years ago as a newly diagnosed patient, you’d likely get “standard of care” treatment based on the location of the cancer in your body and its stage. Make that same visit today and your physician may instead begin with a close look at your tumor’s DNA. The emerging focus on precision medicine urges a tailored approach to therapy that aims to give the right medicine to the right patient at the right time. Several cancer drugs are now available that attack tumors harboring specific mutations in well-known oncogenes, and patients with those tumors can benefit now from the early advances in precision medicine. Imagine, however, that you’re one of the many cancer patients whose molecular testing ends in frustration. Your physician returns with good news and bad news: your tumor has six mutations in well-known cancer genes, but unfortunately yours are not the usual suspects. The specific genetic misspellings in your tumor have never been seen before and cannot be interpreted. In scientific parlance, they are “variants of unknown significance.” Your tumor’s mutations could be driving your cancer, making it amenable to a therapy that targets those genes, or they could be completely benign genetic changes, known as passenger mutations because they are simply along for the ride, so treating you with a targeted therapy could do more harm than good. Despite having your tumor’s unique genetic information in hand, your physician has no way to interpret the rare variants and can’t use your results to make treatment decisions. In oncology today, there are relatively few tumor mutations that are well enough understood to impact clinical care. Part of the problem is that most of the genetic variants found in tumors are rare, with some variants found in only a single patient in the world, and the roles of these unstudied variants remain a mystery. In addition, the traditional model of studying the function of a mutated gene involves many years of resource-intensive experimental work, an approach that has not kept pace with the recent discovery of scores of cancer mutations through efforts like The Cancer Genome Atlas project. 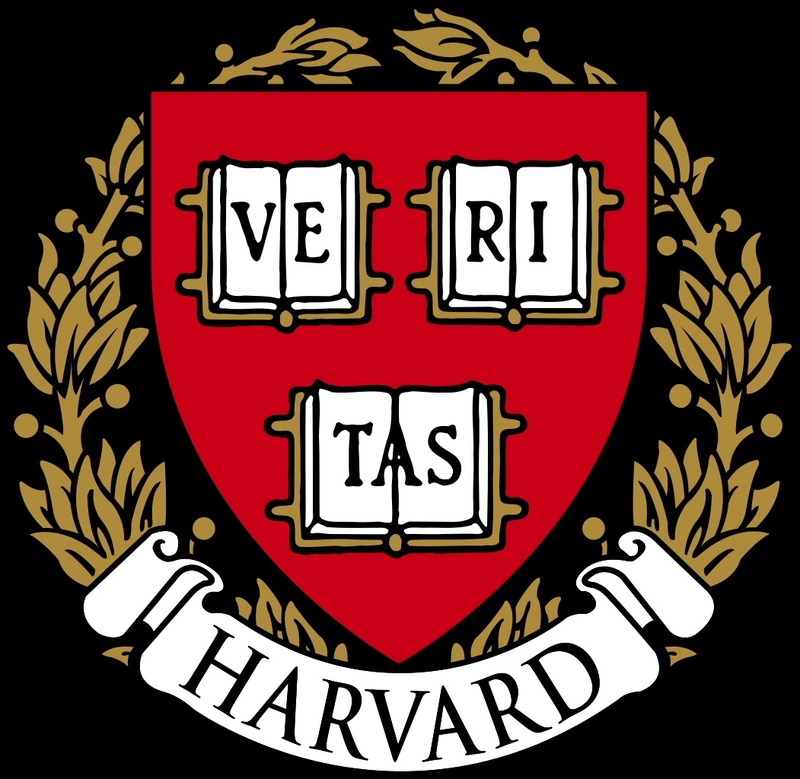 Several years ago, researchers in the Cancer Program at the Broad Institute of MIT and Harvard recognized the need to generate large-scale functional maps of the cancer genome to better understand the disease, inform clinical decision making, and aid the search for new cancer medicines. 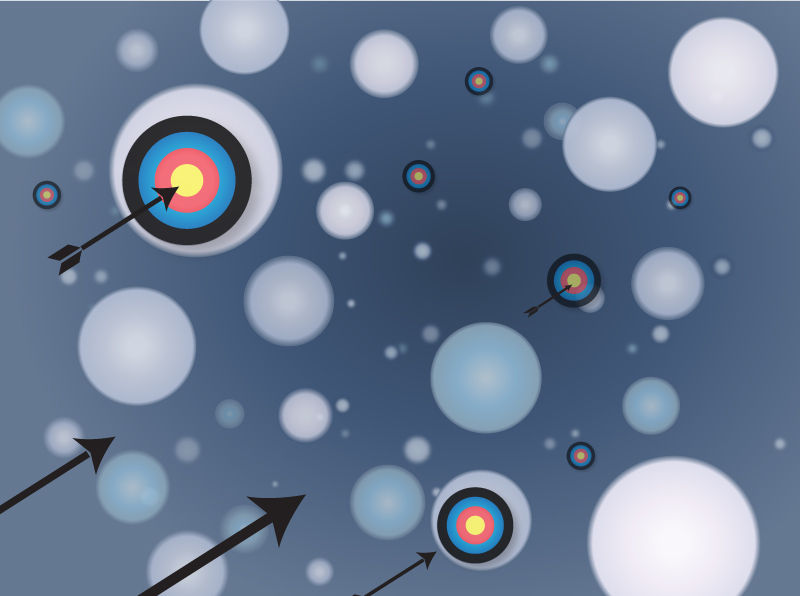 The researchers initiated an effort known as “Target Accelerator” to develop new ways of assessing the function of disease variants in a high-throughput way. With the broad goal of improving genome interpretation in cancer, the effort is now starting to bear fruit with two new scientific papers that illustrate the potential of this approach, especially in elucidating cancer’s uncommon mutations. In the first findings to come out of the Target Accelerator effort, a team led by Cancer Program researchers William Hahn, Jesse Boehm, and Gaddy Getz developed a scalable, systematic approach to study the function of genetic variants associated with an array of cancers. They analyzed existing DNA sequence data from more than 5,000 tumors from 27 different types of cancer, choosing 474 mutations to investigate further. With the help of the Broad’s Genetic Perturbation Platform (GPP), they generated cells in which the activity of these mutant genes was turned up, or “overexpressed.” They used model systems originally developed by Hahn and Boehm that contain some, but not all, of the mutations required to turn normal cells into cancer cells. The team then overexpressed the 474 mutant genes to determine which ones finished the job, causing tumors to grow in mice. By pooling cells that each overexpressed a different mutation and tracking their relative abundance, the researchers were able to test the tumor-forming potential of many mutated genes at once. In a complementary set of experiments, the team turned to changes in gene activity, also known as gene expression, to interpret the function of mutations. “This is the first experiment of this scale to differentiate the functional consequences of tumor mutations, shedding important light on the myriad rare mutations that are uncovered through clinical and research sequencing,” said Hahn, senior author on the paper and institute member of the Broad who is also a medical oncologist and a professor at the Dana–Farber Cancer Institute and Harvard Medical School. Appearing in Cancer Discovery, the results revealed a dozen new functional mutations that appear to underlie cancer (many found only once in the set of 5,338 tumors), including rare variants in the well-studied cancer gene KRAS that had previously been overlooked and several mutations in genes that are just now being linked to cancer: POT1 and PIK3CB. “We’ve shown that as physicians, we can’t dismiss the rare mutations just because they’ve never been seen or studied before,” said Eejung Kim, a first author on the paper and physician/scientist-in-training in Hahn’s lab. A second study to come from the Target Accelerator effort and appearing in Cancer Cell focused on lung cancer and was led by Boehm and Broad institute member Matthew Meyerson. “Lung adenocarcinoma has one of the highest rates of mutation among cancers, so it’s critical that we take a systematic approach to differentiating driver mutations from passengers if we want to one day target these rare variants therapeutically,” said Meyerson, also a professor of pathology at Dana-Farber Cancer Institute and Harvard Medical School. Many of the mutations in lung tumors are rare and unstudied. Even for patients with alterations in the frequently mutated gene EGFR, which can be targeted with the drug gefitinib (Iressa), roughly one-third of those mutations are variants of unknown significance, so the drug cannot be prescribed. The researchers selected nearly 200 mutations in 53 genes from patient data to functionally profile through three complementary assays. The first relied upon a gene expression-based method that built upon earlier work from the Broad’s Connectivity Map (CMap) team to determine which mutations impact gene function. Using the L1000 assay, an inexpensive, bead-based gene expression monitoring system developed by the CMap team, they could generate a molecular fingerprint of expression changes due to each mutant gene and its normal counterpart. The team developed a novel algorithm to analyze the data termed eVIP (expression-based Variant Impact Phenotyping), pioneered by co-first author Angela Brooks, now an assistant professor of biomolecular engineering at University of California, Santa Cruz. The algorithm analyzes expression signatures generated using the L1000 assay in lung cancer cells in which mutant genes are overexpressed (again, with the help of Broad’s GPP). With eVIP, the strength of changes in each mutation’s expression fingerprint indicates whether the variants are passengers, gain-of-function mutations, or loss-of-function mutations. The team used two additional assays to determine which mutations promoted tumor formation and which mutations conferred resistance to cellular EGFR inhibition. As expected, many of the mutations they tested appeared to be passengers. However, among the driver mutations they uncovered in the EGFR/RAS pathway were not only famous oncogenes, but also many rare ones (some only seen in one patient, ever) that seem to have the same function as the common mutations. The results provide more evidence that rare mutations can be clinically important. The eVIP method is powerful because it can also identify loss-of-function mutations in tumor suppressor genes. Lung tumor sequencing has uncovered many missense mutations – those that change a single amino acid in the protein – in tumor suppressor genes. These tiny spelling changes were not strongly suspected to alter the protein’s function or drive cancer. This study found the opposite to be true in the case of two frequently mutated tumor suppressor genes, KEAP1 and STK11. They discovered that most of the missense variants in those genes reduce protein function, indicating that missense mutations in tumor suppressors could hold clinical importance. These studies and others from the Target Accelerator effort represent an engine of genome interpretation that cuts across the entire Broad community to leverage many parts of the institution, including the Genetic Perturbation Platform, the Connectivity Map team, the Proteomics Platform, the Imaging Platform, and the Genomics Platform. Other Broad Institute researchers on the Cancer Discovery paper include co-first authors Nina Ilic, Yashaswi Shrestha, Lihua Zou, and Atanas Kamburov, in addition to co-authors Cong Zhu, Xiaoping Yang, Rakela Lubonja, Nancy Tran, Cindy Nguyen, Michael Lawrence, Federica Piccioni, Mukta Bagul, John Doench, Candace Chouinard, Xiaoyun Wu, Larson Hogstrom, Ted Natoli, Pablo Tamayo, Heiko Horn, Steven Corsello, Kasper Lage, David Root, Aravind Subramanian, Todd Golub, and Gad Getz. 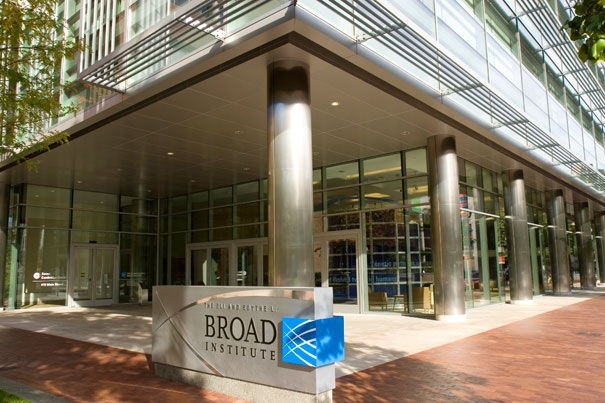 Other Broad Institute researchers on the Cancer Cell paper include co-first author Xiaoyun Wu, Yashaswi Shrestha, Candace Chouinard, Federica Piccioni, Mukta Bagul, Atanas Kamburov, Marcin Imielinski, Larson Hogstrom, Cong Zhu, Xiaoping Yang, Sasha Pantel, Jacqueline Watson, Joshua D. Campbell, Shantanu Singh, David E. Root, Rajiv Narayan, Ted Natoli, David Lahr, Itay Tirosh, Pablo Tamayo, Gad Getz, Bang Wong, John Doench, Aravind Subramanian, and Todd R. Golub. Kim E, et al. Systematic functional interrogation of rare cancer variants identifies oncogenic alleles. Cancer Discovery. 2016 Jul;6(7):714-26. doi: 10.1158/2159-8290. Berger A, et al. High-throughput phenotyping of lung cancer somatic mutations. Cancer Cell. Online July 28, 2016. U.S. and British officials announced an ambitious collaboration Thursday designed to accelerate the discovery and development of new antibiotics in the fight against one of the modern era’s greatest health threats: antibiotic resistance. CARB-X, for Combating Antibiotic Resistant Bacteria Biopharmaceutical Accelerator, will create one of the world’s largest public-private partnerships focused on preclinical discovery and development of new antimicrobial products. The undertaking includes two agencies within the U.S. Health and Human Services Department that focus on biomedical research and Britain’s Wellcome Trust, a London-based global biomedical research charity. It also includes academic, industry and other nongovernmental organizations. The partnership is committed to providing $44 million in funding in the first year and up to $350 million in new funds over five years to increase the number of antibiotics in the drug-development pipeline. 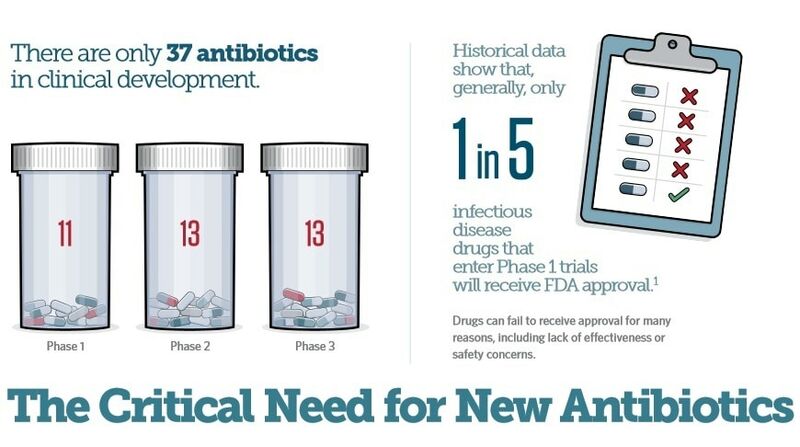 The ultimate goal, officials said, is to move promising antibiotic candidates through the critical early stages so they can attract enough private or public investment for advanced development and win approval by U.S. and British regulatory agencies. Biomedical innovations often take place in small companies and academic labs that don’t have the resources and expertise to move products to clinical development. CARB-X aims to provide necessary funding for research and development and technical assistance to move products from proof of concept through preclinical development. Only 37 antibiotics are currently in clinical development in the United States, according to The Pew Charitable Trusts. Historically, only about 1 in 5 infectious-disease drugs that enter Phase 1 trials will receive approval from the Food and Drug Administration. There have been no new classes of antibiotics discovered since 1984, according to Pew’s antibiotic resistance project. “The establishment of CARB-X is a watershed moment,” Nicole Lurie, a top HHS official in charge of preparedness and response, said during a press briefing Thursday. These life-saving drugs are fundamental to modern medicine. They are essential for treating everything from routine skin infections to strep throat and for protecting vulnerable patients receiving chemotherapy or those hospitalized in intensive care units. But the speedy rise of antibiotic-resistant bacteria, which experts say is a result of decades of overuse in animal agriculture and human medicine combined with lagging drug development and innovation, has put people everywhere on the brink of what many public health leaders say is a “post-antibiotic” world. In such a world, even the most simple surgical procedure could have fatal consequences. Overseeing the project on the U.S. side is the Biomedical Advanced Research and Development Authority, or BARDA. The HHS agency works on national preparedness for chemical and biological threats. It will be joined by the National Institute of Allergy and Infectious Diseases, part of the National Institutes of Health. On the British side, oversight will be led by the Wellcome Trust and the AMR Centre, a public-private initiative formed in February to spur development of new antibiotics and diagnostics. “Today the world can be a little more optimistic that we can together tackle this challenge,” said Stephen Caddick, director of innovation for the Wellcome Trust. Public health leaders said the project has tremendous potential to jump-start drug development. CARB-X will be headquartered at Boston University’s School of Law, where the project’s executive team will be led by Kevin Outterson, a leading health law researcher who will serve as principal investigator on the cooperative agreement. Two U.S. nonprofit life-science accelerators will provide support for early-stage antibiotic development projects: Massachusetts Biotechnology Council in Cambridge, Mass., and the California Life Sciences Institute of South San Francisco. BARDA is already working directly with drug companies to support nine new antibiotics that could move into the market in the next one to three years, said Joe Larsen, acting deputy director at BARDA. The goal for CARB-X is to work on about 20 different drug candidates at any given time. “Our target is that at a minimum, two products make it to human testing in five years,” he said. During the planning process, Larsen said industry and venture capital executives identified preclinical development as the largest need. Securing funding to conduct studies in animals is particularly challenging, and many trials fail in that phase. NIAID Director Anthony Fauci said his institute would be able to provide the in-kind research and support services, such as animal models, for that crucial preclinical investigation. •BARDA will provide $30 million during the first year and up to $250 million during the five-year project. •The AMR Centre aims to provide $14 million in the first year and up to $100 million over five years. •The Wellcome Trust will contribute additional funding from its existing resources and expertise in overseeing projects of this kind. •NIAID, which leads the U.S. government in biomedical research on infectious diseases, will provide in-kind research support and technical support related to early-stage antibiotic drug discovery and product development. MPRA could help reveal DNA variants’ subtle influences on diseases and traits. Image: Sigrid Knemeyer. The reporter assay helps scientists sift through GWAS data to find variants that truly affect gene expression or function. A researcher takes a DNA fragment from what may be an enhancer, couples it within a plasmid to a “reporter” gene that provides a readout (e.g., the luciferase gene), and inserts the plasmid into cells. If the readout materializes (e.g., if the cells glow), the enhancer sequence drove expression of the reporter. By running the assay with different variations of the same fragment, a pattern can emerge suggesting whether certain variants affect expression. Such classic reporter assays, however, have one major disadvantage: They don’t scale to the level needed to investigate the thousands to tens of thousands of variants that might turn up in a GWAS. Mikkelsen and Broad research scientist Alexandre Melnikov worked out the principles of one flavor of MPRA while working in the lab of Broad founding director and president Eric Lander. In a 2012 Nature Biotechnology paper*, they noted that tagging each plasmid with a short, unique DNA barcode provided a second readout. By sequencing and counting the mRNAs produced from each plasmid, they could easily identify the variant(s) with the greatest influence on gene expression and quantify the magnitude of that influence. And because each barcode was unique to each plasmid, Mikkelsen and Melnikov’s team could pool and assay thousands of variants simultaneously. Sankaran’s lab is the latest to make use of Mikkelsen and Melnikov’s MPRA system, harnessing it to scrutinize more than 2,750 non-coding variants in 75 GWAS hits linked to red blood cell traits. And as he, Mikkelsen, and co-first authors Jacob Ulirsch and Satish Nandakumar reported** in Cell, MPRA data pointed to 32 hits that actually had some impact on gene expression. They then used additional computational and functional assays to further probe the effects of a subset of these variants on red blood cell traits, as a result revealing that several known genes may have heretofore-unrecognized roles in blood cell development. While Mikkelsen and Melnikov’s original method is quite powerful, Sabeti’s lab wanted to see if they could make it even more robust. As they discussed in their own Cell paper***, the added barcodes reduced the noise in their data and increased the assay’s overall sensitivity. “With more barcodes you can start to detect more subtle changes in expression, including changes that might arise from differences between alleles,” Tewhey added. MPRA isn’t the only approach for pulling causal needles out of GWAS haystacks, and Tewhey is realistic that it won’t be a panacea for studying all of the cell’s mechanisms for regulating expression. “When you start to get all these independent pieces together, you get a real fine view of what’s important,” he said. Every day, every cell in the body picks up one or two genetic mutations. Luckily, cells have a whole battery of strategies for fixing these errors. But most of the time, even if a mutation doesn’t get fixed — or doesn’t get fixed properly — there are no obvious functional implications. That is, the mutation isn’t known to impair the function of the cell. Some mutations, however — called “driver” mutations — do impair the cell, leading to cancer, aging, or other types of diseases. Identifying new driver mutations (a few hundred genes that carry driver mutations are known so far) is a huge focus for most labs that study cancer, including that of Broad Cancer Genome Computational Analysis group director Gad Getz. But in new research recently published in Cell, Getz and computational biology group leader Michael Lawrence wanted to look at all those other mutations: the “passengers” that may or may not cause cancer. Doing so, they surmised, would not only help them understand the fundamental biology of cells, but may also point them toward new mechanisms for causing mutations associated with cancer. And that’s exactly what happened. The new work reveals the mechanism behind cancers associated with a family of enzymes called APOBEC, which had been rather enigmatic until now. The original purpose of APOBEC enzymes, according to Lawrence, was probably to fight viruses. But recent studies from Getz’s lab and others have shown that many cancers are enriched for genetic mutations caused by these enzymes. “Something that most cervical and bladder cancers, some breast cancers, many head and neck cancers, and a scattering of many other tumor types, all have in common is over-activity of APOBEC enzymes,” Lawrence said. People had been studying APOBEC cancers for years, trying to figure out what exactly was going wrong, but they had so far met with little success. One thing that had interested Lawrence and Getz about APOBEC was that while it introduces dozens of mutations all across the genome, it always affects the cytosine bases — the “Cs” in the famous DNA alphabet which also contains As, Ts, and Gs. This was interesting because it played right into a hypothesis about asymmetry that Getz and Lawrence had already begun to explore. “Every cell has two DNA strands that wrap around each other in a double helix. Both carry the same information, so each double helix has two copies of the information,” Lawrence said. “When damage happens to the DNA it might happen on just one strand.” Identifying the strand on which the damage originally occurred could give researchers clues about the mechanisms behind cancer mutations. In order to identify the strand originally damaged, Haradhvala and his colleagues looked at asymmetrical processes such as DNA transcription and replication. DNA transcription is the first step in gene expression, whereby the genetic blueprints contained in the gene are read and translated into proteins. DNA replication is the process by which DNA is copied when cells divide. In transcription, a variety of cellular apparatuses unzip the two DNA strands and then make a mirror image copy of one of them. The other strand hangs out like a vulnerable flag in the wind, waiting for the process to complete, potentially getting blown over with mutations in the meantime. The strand that is being read is further protected from mutation because the process includes a step in which another apparatus comes in with the specific job of repairing any damage it finds. The non-transcribed strand — that vulnerable flag — doesn’t benefit from such a perk. After analyzing the mutational patterns of 590 tumors across 14 different cancer types, the team discovered that liver cancers seem to be riddled with mutations that stem from transcription-coupled damage. That is, mutations tend to pile up on the non-transcribed strand more frequently in liver tumors than expected. This is a novel phenomenon that is first described in this work. In replication, both strands are copied simultaneously, but since the machinery that does so only works in one direction, copying the strand with the opposite orientation is a bit of a stilted process. The copying apparatus, a protein called a polymerase, takes a step forward, copies everything behind it, and then moves another step forward and copies backwards again. The other strand is just happily copied in a continuous, (literally) straightforward manner. And since the backwards strand is so often hanging out alone, it is more vulnerable to damage just like the non-transcribed strand described above. So in both transcription and replication, cellular processes treat the two strands of DNA in an asymmetrical fashion. This asymmetry is what allowed Getz, Lawrence, and their colleagues to figure out the mechanism behind APOBEC cancers. It turns out, according to the team’s painstaking analysis of millions of data points, that the APOBEC enzyme most often introduces mutations to the lagging (or “backward”) strand during DNA replication. Both the liver and APOBEC findings are big news. After all, it’s not every day that a new mechanism for generating mutations comes along. But more importantly, they also offer insight into how DNA transcription and replication work from the perspective of mutations — findings that could have implications in understanding even more cancer types in the future. Going forward, Getz, Lawrence, and their colleagues have big plans for their asymmetry work. They are already in the process of collaborating with dozens of labs around the globe to collect and analyze whole genome sequences of 2,800 tumors. Part of that work will include asymmetry analyses like those described here, to try to understand whether these processes have mechanistic implications for other cancer types as well. In the meantime, they are also collaborating with their benchtop biologist colleagues to carry out functional studies as follow up to the computational work done for this study, trying to recreate in a live setting what they saw in that computational microscope. Julian Hess, Esther Rheinbay, Jaegil Kim, Yosef Maruvka, Lior Braunstein, Atanas Kamburov, and Amnon Koren.